With New Year’s Eve approaching, you’ll most likely be breaking open some champagne, but instead of pouring a simple glass of the bubbly, why not have a Kir Royale, a festive drink made with champagne and crème de cassis, a sweet, dark liqueur made from black currants. I never drank a Kir Royale until my trip to Paris this fall, when I made up for all those decades of neglect. 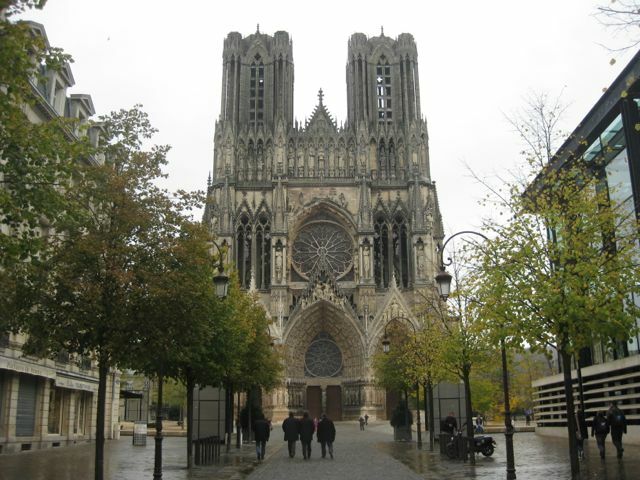 I even went one step further, taking a side trip to Reims, the heart of the Champagne region. It’s only a one-hour train ride east from Paris. 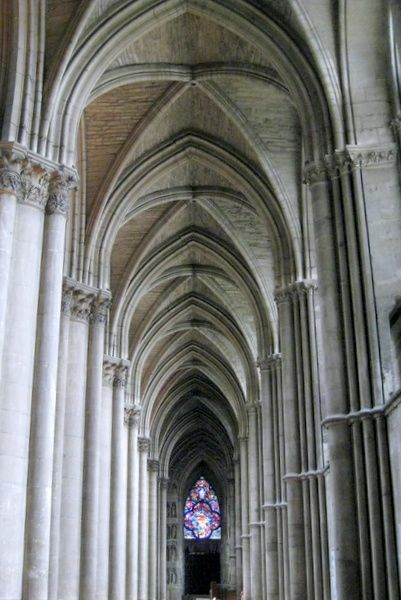 It’s also the site of one of the great cathedrals of the world, where French kings were once crowned. Construction of the cathedral began in the 1200s and continued for nearly three centuries. It remains one of the finest examples of Gothic architecture in Europe. It was heavily damaged during World War I, and work continues to this day on the cathedral. The artist Marc Chagall designed these stained glass windows, installed in 1974. 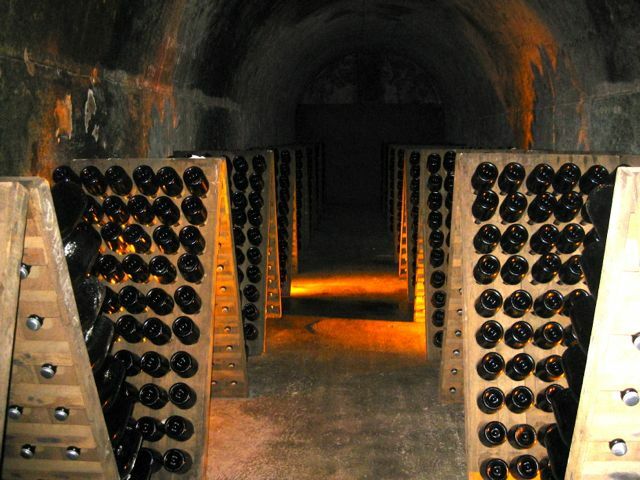 While the cathedral is a big draw for tourists, so too, are the many champagne houses located in the region. I couldn’t pass up the chance to tour the cellars of one such producer — G.H. Mumm. 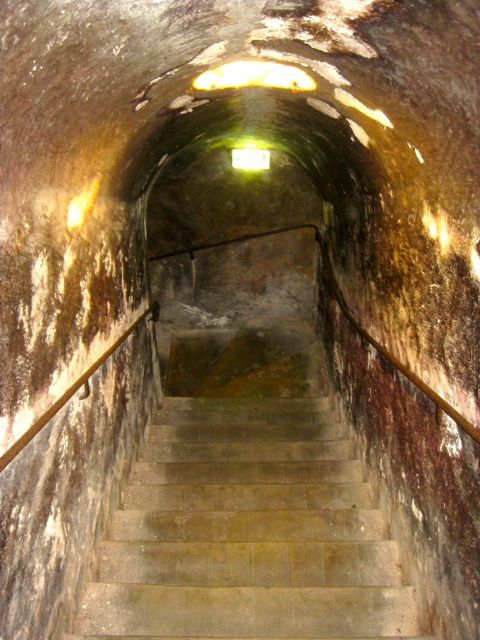 The “caves” or cellars are exactly that, 75 kilometers of tunnels and passageways dug by hand out of the chalky soil, a process that took 70 years to complete. 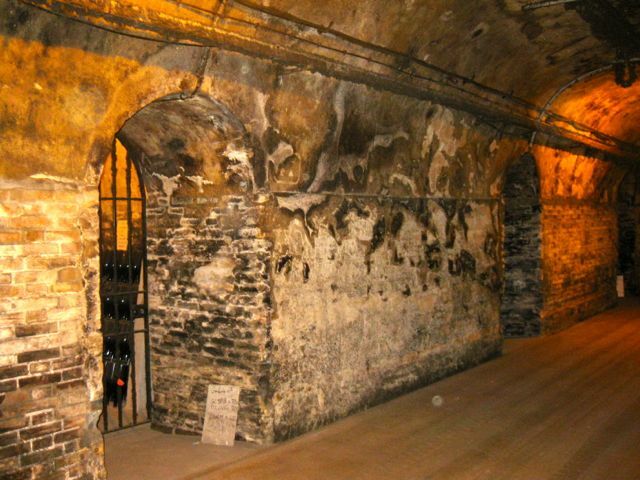 The cellars contain 25 million bottles (yes, million, that’s right), some of which are behind lock and key. Those are the historic vintages, some of which date back to the 19th century. They may be worth a lot of money, but that doesn’t mean they taste very good. The length of time for optimum aging is anywhere from a year and a half to five years. Just as in the past, champagne for today’s market goes through a “riddling” process – where each bottle is held on a tilt on a wooden rack and rotated by hand in order to consolidate any sediment prior to removal. After the sediment collects in the neck of the bottle, it’s frozen to make disgorging easier. 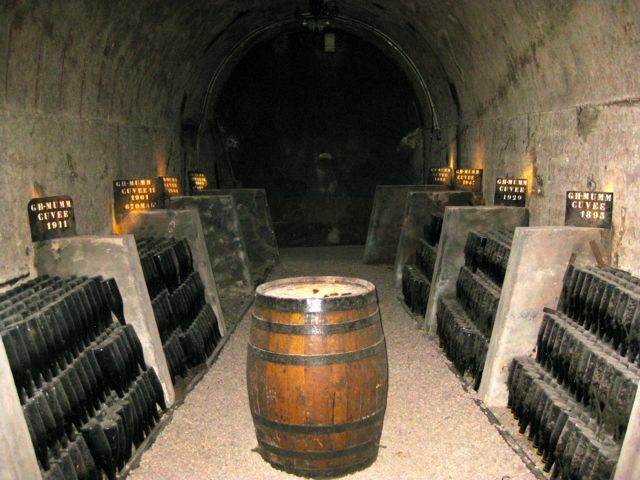 Mumm also has a museum in its cellars, containing many old implements and machines of the trade. Of course, tasting the champagne is the best part of the visit. In the interest of research, I had to taste three of Mumm’s champagnes, including one of its best – the Grand Cru blanc de blancs, made from 100 percent chardonnay grapes. A bottle of this will set you back a pretty penny, so you may want to choose a less expensive bubbly, like an Italian prosecco or Spanish cava, to make your Kir Royale. You probably already know that while sparkling wines are produced all around the world, only those made in this geographic region of France have the legal right to be called champagne. By the way, you can make yourself a plain Kir, rather than a Kir Royale, by substituting dry white wine for the sparkling wine. Whatever you’re toasting with this New Year’s Eve and whatever the size, I’m lifting my glass to all you readers who follow Ciao Chow Linda, and I wish you all a happy, healthy 2013. Pour the crème de cassis in a champagne glass and slowly fill with champagne. Serve. I love kir! A great festive drink. Kir Royale is one of my favorite drinks. Perfect for celebrations big and small. Tantissimi auguri cara Linda,Buon Anno 2013, che sia pieno di felicità e salute ! A prestissimo…. I love the dancing snowflakes and I too, love a Kir Royale. 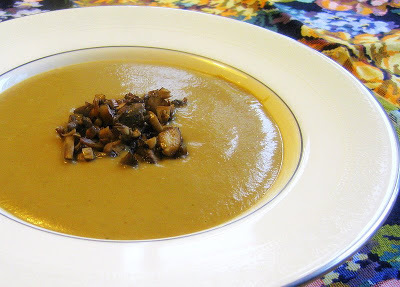 Perfect to ring in the new year. I also love a Kir Royale. My parents wisely introduced me to this many years ago. 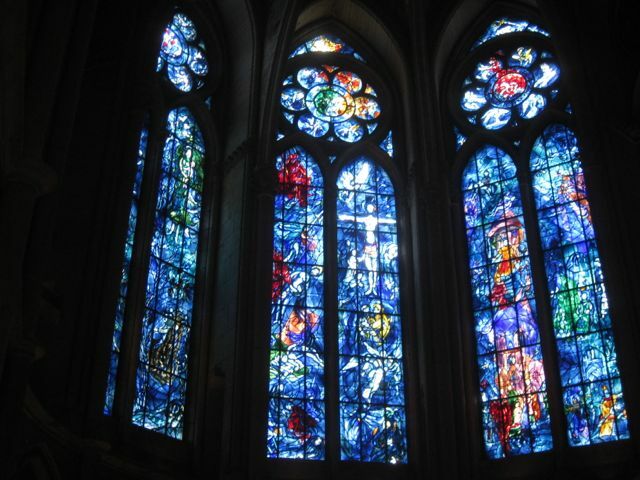 Love Chagall and had no idea his stained glass was in Reims. What a wonder that must have been! Will share a cyber-drink with you New Year's Eve. Happy 2013! May it bring new adventures! Linda, Love that first picture, beautiful. There's snow flakes coming down too, pretty, pretty! you experience the best places, I want a Kir and champagne right now! 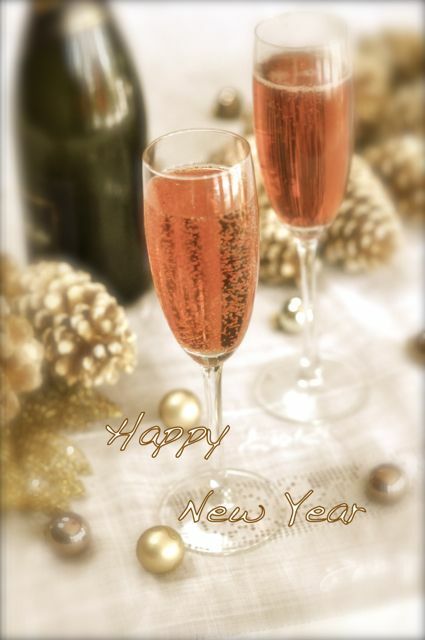 When I do I'll be raising my glass to you wishing you health, happiness and more travel in 2013! Throw a trip to Chicago in again will you! I just loved those names for the bigger bottles. What a hoot! I fell in love with the Kir Royale during my Paris days, but it's been years now since I've had one. I may have to run out to the liquor store this year! Tanti auguri di buon 2013, un grande abbraccio Daniela. A drink of Kir Royale to bring in 2013 sounds perfect! I am not much a fan of white wines but I love champagne! Those bubbles are magical..and so are the snowflakes on your blog today, Linda! 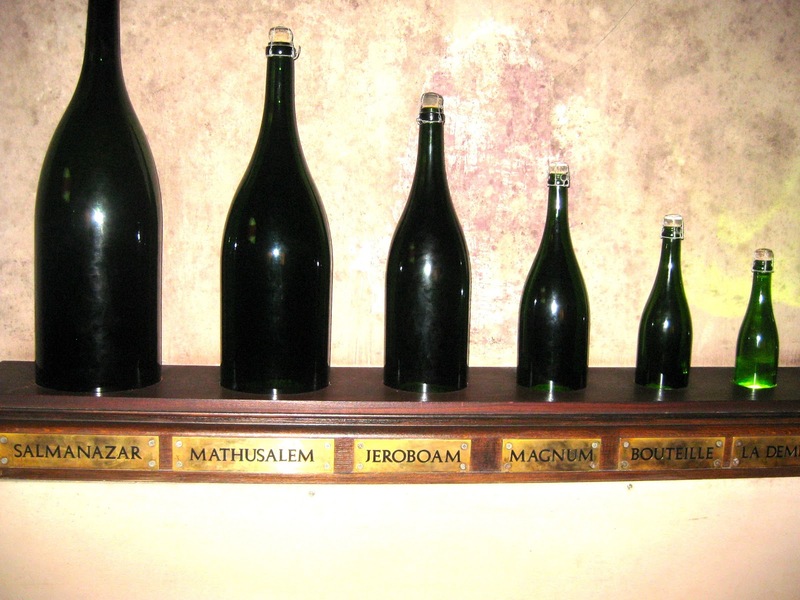 I enjoyed seeing your photos of the GH Mumm champagne caves and museum and learning the names for the different size bottles. Have a very happy and healthy 2013! What a glorious post. And what a beautiful photo of the drinks. I want one. Mumm was my mother's favorite champagne. She would have loved this post. I think a Kir Royale is the perfect drink for tomorrow. Your photos of the cathedral are gorgeous. It is so massive. I remember being completely amazed by it. 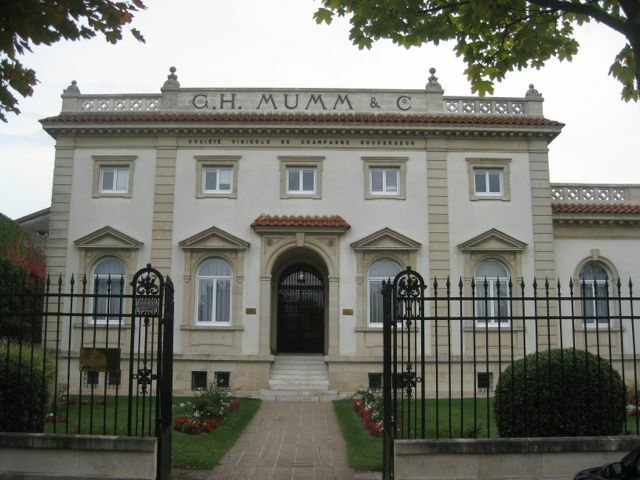 And what fun to have toured Mumm. It must be amazing to see all the bottles. 25 million. Good grief. I hope that 2013 is rich in experiences and delicious food, and in this cake drink. it's funny you posted this but a friend of mine, said on New year's eve about how people put Kir in their champagne. She then told me about Desarono and Champagne (which I saw a commercial for) which is equally delicious! Happy New Year! I must try Kir Royale as I'm so unsophisticated in most things French! I love the photos that you shared, especially the church (dare I ask if it is either Notre Dame or something similar — again, pardon my ignorance of France). I have visited Paris once for a few days way back in the early 80s and remember the beautiful pastry shop windows, the museums (OMG! ), and all of the touristy sites. My son visited in spring and this is now on my bucket list to return! Beautiful post Linda! Kir royale is my favourite! I love a bit of bubbly and I think that the blackcurrant goes perfectly. 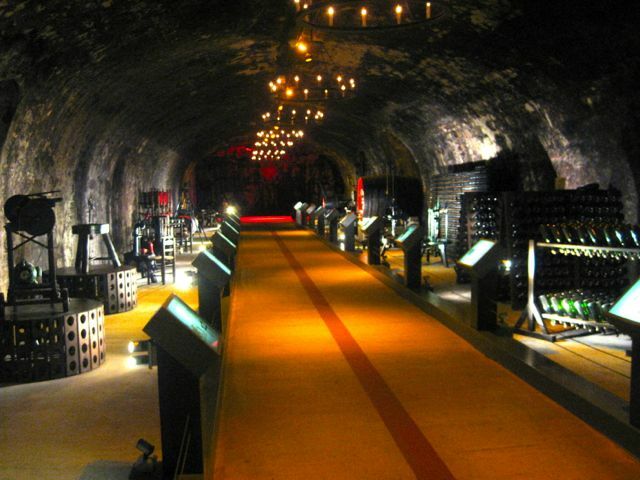 Very cool that you've been to Champagne – look's like a great visit! 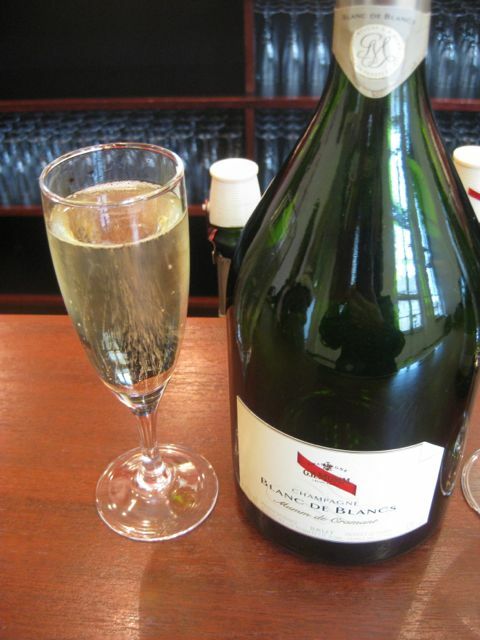 Great post, Champagne is the name of the world’s most famous dazzling wine. We also know and love comes exclusively from the Champagne region of France, and claims the honor of being the most famous of the sparkling wines.